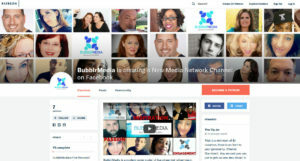 BubblrMedia is creating a New Media Network on Facebook and needs your Patreon support. BubblrMedia currently has 7 Patrons, but needs lots more to reach his goal of creating the New Media Channel. If you don’t already know who they are BubblrMedia is a modern water cooler of live streaming refreshment. They bring a vast array of creators from around the globe to one convenient location. BubblrMedia is a collaborative platform has been developed to not only bring audiences together to engage and be entertained by their favorite creators but also to lift creators to new heights. BubblrMedia has a Patreon goal of $5,000 and so far they have raised money from 7 patrons. The $5,000 will go to paying for our website, multimedia promotion for our creators, and a multi-city launch party, with special appearances by our creators and leadership team. $1 gets you a big thank you! $5 or more per month gets you a personalized video message from one of the BubblrMedia. $10 gets you previous rewards plus access to the “After Party” PRIVATE Facebook Group where everyone goes after the live broadcast is over and the real talk is just starting. $15 gets you previous rewards plus behind the scenes. The rewards go all the way up to $50/month were one gets all previous rewards plus exclusive tutorials from Bubblr Experts and access to our webinars with new topics every month. Watch the BubblrMedia promo video on Youtube. Make BubblrMedia’s dream a reality and consider donating to their Patreon campaign today.